Jen was extremely attentive and fulfilled our needs for a designer to a tee. Our project was unconventional in several ways, and Jen was accommodating while maintaining her own process, and communicating that along the way. We trusted her taste from the get-go and have not been disappointed. 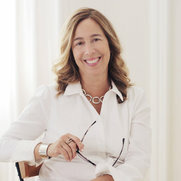 She has a breadth of knowledge and experience that allows her to work within a range of budgets and prioritize her items ideas in an economical and respectful fashion. Furthermore, she is absolutely willing to research any product or vendor she may not already have experience with. Open, forthright and attentive. Very pleased with Jen's work. Thanks, Jen! 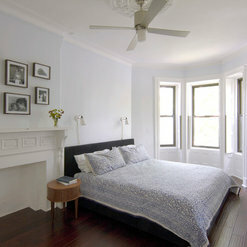 We just finished up a project with Jennifer in Park Slope and she was a real pleasure to work with. As a G.C. 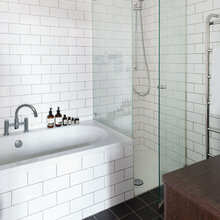 you need the products supplied by the owner or the Designer on site to keep the flow of the project. Jennifer made sure everything showed up when we needed it. Her attention to detail and the design of the space was top notch. I would work with her again and again. Gregg Resnick Allied Arborcraft Corp. Working with Jen was an absolute pleasure. I wanted to pull together our living room -- we'd been in our apartment for four years, but it still looked like we'd just moved in -- and Jen immediately understood the look I was going for. She also did a terrific job of staying within my admittedly small budget. On top of it all, she's just a lovely person in general. I can't recommend her highly enough. 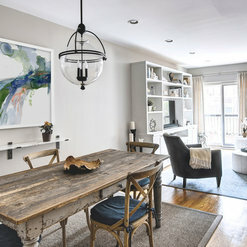 We hired Jennifer from CAVdesign to work as our independent designer during our apartment renovation earlier this year. While we had also hired a general contractor, we wanted a designer to help us with overall layout decisions, design decisions (e.g. wall colors, furniture, lighting), and act as our advocate when working with the GC. Jennifer was very helpful during the process and we were pleased with the outcome. She made creative recommendations and helped us get the most out of our budget. 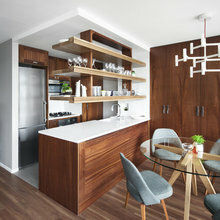 She also connected us with a contractor who did some top notch custom millwork. 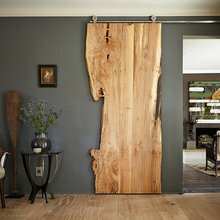 Jennifer's process focused on creating "boards" for each room with various design choices. 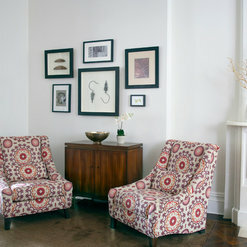 Working with our style, budget, and existing furniture, she helped create a cohesive look for each room. She was also able to create 3-D renderings which helped to visualize the outcome. As with most contractors and designers, I recommend keeping a detailed track of the budget and the "burn" on a weekly basis. Towards the end of our project, we ran out of budget for Jennifer based on the initial estimate, so she was unavailable to help with a few final items. However, the work she did upfront took care of all major decisions and she did put in some of her own time as an investment to ensure we were happy with the final result. Given this was our first experience with a renovation and using a professional designer, we can highly recommend Jennifer and CAVdesign. 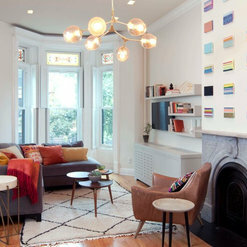 Jennifer just did an amazing renovation in our Brooklyn brownstone. We redid the kitchen and the deck. 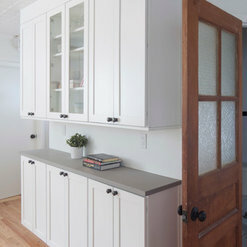 She helped us have a functional space with more light and beautiful cabinetry. Very easy to work with, straight to the point, friendly and doesn't waste your time. We highly recommend her! Jennifer was great for our project, she did all our new kitchen and help us decide the layout of all of our house, I will recommend her completely! Jennifer was easy to work with and has great aesthetic. She made the best use of space in our small apartment, and we are thrilled with the results! I had been dithering about my kitchen renovation for over a year, and was really at a loss for where to start. 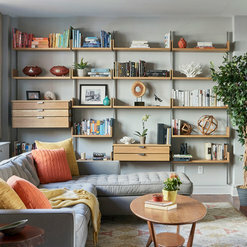 I was so glad to find Jennifer: she listened to what I wanted, took my budget seriously, and helped me choose materials and plan a layout that worked within the confines of what my building would allow, but that made the small space so much more functional! She helped me plan a new layout for my living room and foyer also, and oversaw the construction (after bringing me an amazing contractor). As with any large project, there were snags, but despite that we finished within a few days of the original schedule, which was very important to us. I am hoping to use her again for my next project, which I think is the highest compliment you can pay a professional like Jennifer. I met Jen from CAVdesign 6 years ago and we have done numerous projects together. 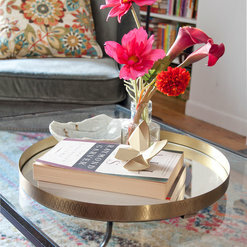 She has a keen eye for design and makes great use of any space. 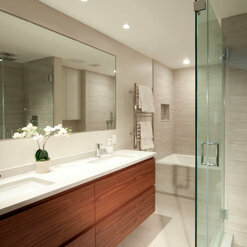 Our projects together include full gut interior renovations, kitchens and baths. Jen is a pleasure to work with and makes the design build process simple. Jen was amazing from start to finish. I was so impressed from day one - she was incredibly fast and always communicative. She also helped me achieve several of my budget breaking ideas for a fraction of the cost - her work paid for itself in that sense. I was also really surprised (in a great way) of how much she knew about all the technical aspects during a gut renovation - electrical, plumbing, the physics of building. She managed the job and the contractor all the way through the last details, and my apartment couldn't be better! Jennifer is great! 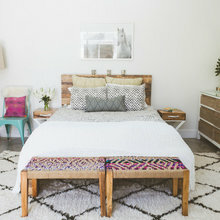 She redesigned a bedroom that is absolutely beautiful. She took my vision and created an environment that was more than I could have imagined, it is not only beautiful, but calming. She also recommended a great contractor for the job, and stayed within the budget I gave her. I would recommend CAVdesign to others because of the high quality work provided, her ability to keep the project on schedule and the recommendations she made. 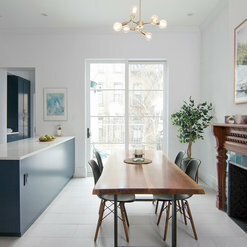 I bought a Brooklyn brownstone that needed a lot of work, both cosmetic and infrastructure. I live in Houston, which made the prospect of dealing with vendors problematic. Jennifer had all the right contacts, and managed to project to get it done in the most efficient manner, with high-quality results. Her design skills are outstanding, and our building shines like the beauty it was to begin with. Commented: Where is the media unit from? Thank you!Hi, I custom designed this for the space. Commented: Love this entertainment center!The wall unit was a custom piece - glad you like it! 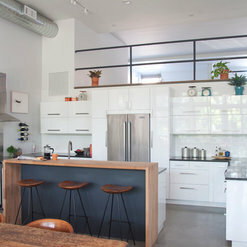 Commented: Are those Ikea wood counter tops or something nicer?These actually are IKEA counters! Note that the corners are mitred which adds to the look. Not sure they still make this color still however.